What's a girl to do when she wants a quilted vest but doesn't want a puffy quilted vest? She makes it herself from a sweatshirt! This project actually started out as a full jacket but then I remembered how much I hated to do set in sleeves and opted to make it a jacket. 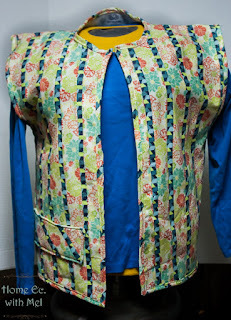 My mom made my grandma a quilted sweatshirt jacket and grandma wore that jacket until it fell apart. I think I was feeling a little nostalgic when I mapped out this one out. 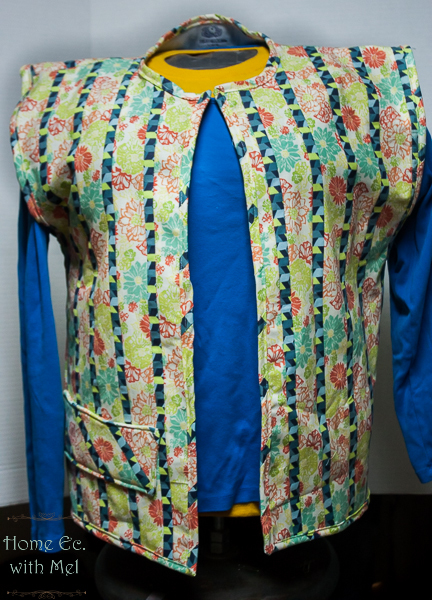 So with a wink and a nod to my roots I made my own quilted sweatshirt but in a vest. 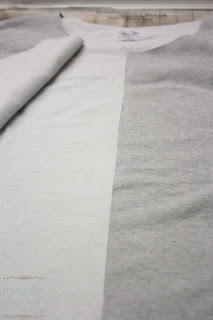 Fabric of your choice - The amount will vary depending on the size of your sweatshirt. My sweatshirt was a men's X-Large. It took 30 2 inch strips and 30 1 inch strips. 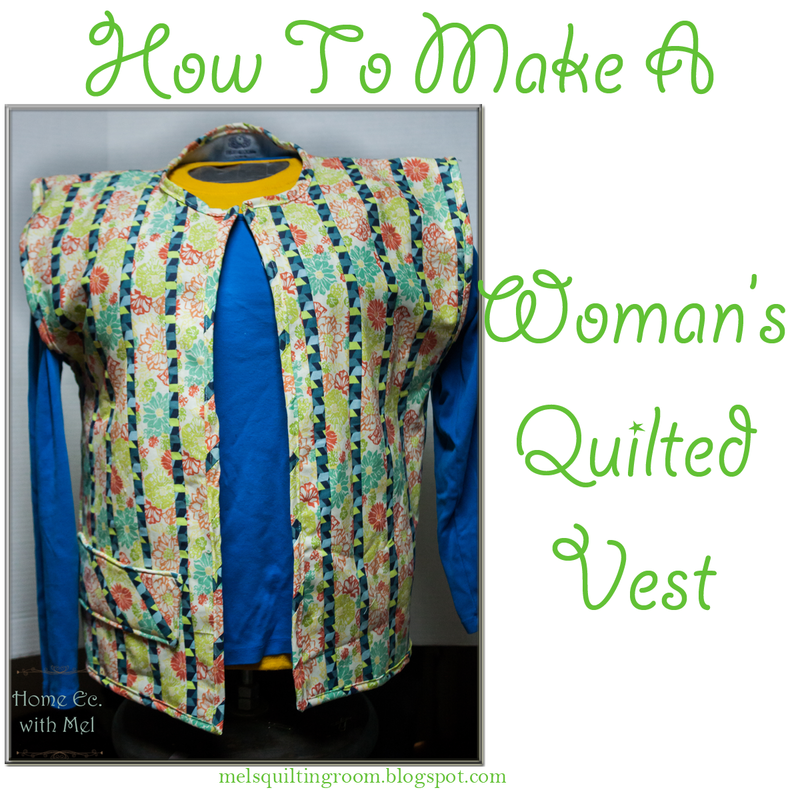 The first step of making your quilted vest is to actually deconstruct your sweatshirt. I started by cutting off the color, cuffs, and the waistband. Next, draw a line straight down the center of your sweatshirt. Cut on the line to open it up. 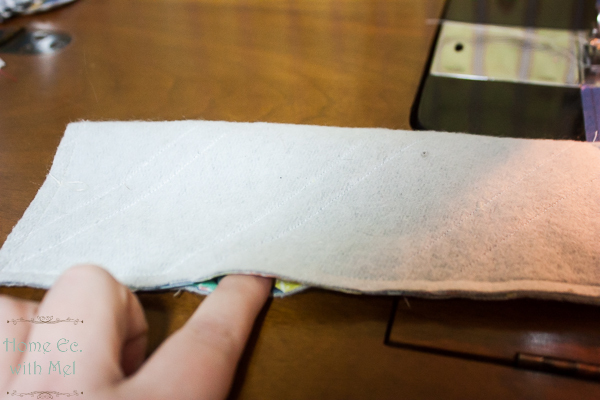 Time to cut all the seams out of your sweatshirt. 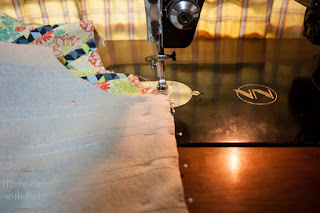 Mine had seams up the sides and the sleeves. 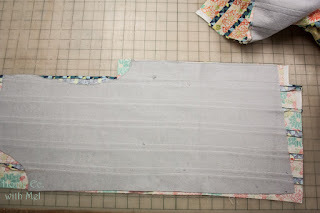 Since I chose to also cut my front away from the back even though there wasn't a seam there. You'll have to make that decision for yourself. 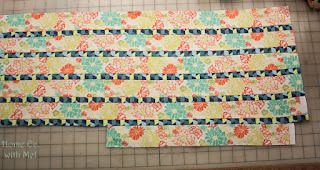 If you don't you'll have to seam your fabric more than likely, if you do your fabrics may not line up at the shoulder. 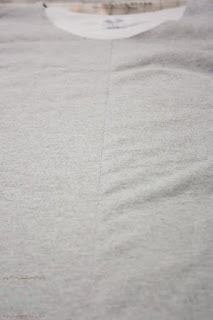 I chose to sew my strips on my sweatshirt vertically. They say vertical stripes are slimming, I don't know but I do like stripes to run up and down better. Give yourself half an inch overlap at the top and the bottom, just like making a string quilt block. I did the same to all three of my pieces. This is like the quilt as you go technique that some people do. Doesn't look much like a sweatshirt anymore does it? Flip your quilted piece over and use the sweatshirt underneath as your guide to trim up your piece. 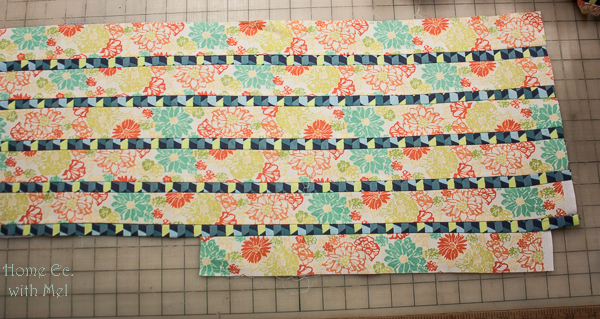 So when I was done I had a pile of strips leftover. 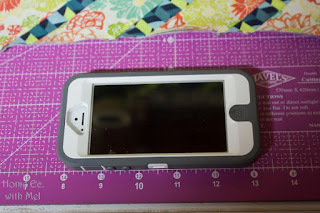 I knew I would need bias binding since I had curves to go around so I headed over to Pinterest to see if I could find a good tutorial. I see no point in reinventing the wheel. I found a great one from Jaybird Quilts. 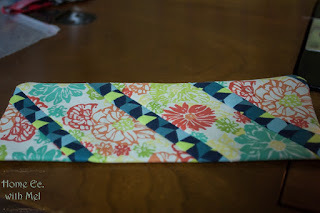 The only things that I did differently was I cut mine into 2 inch strips and used a bias tape maker when I ironed it. 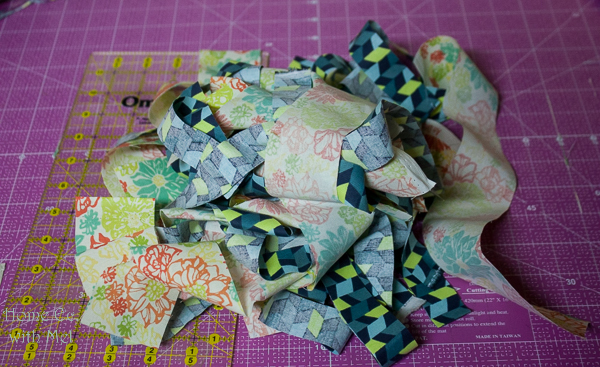 It took all my scraps to make enough binding. Now it's time to sew it all back together. 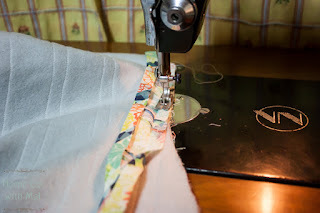 I would normally do this on my overlock machine but I know not everyone has one of these. 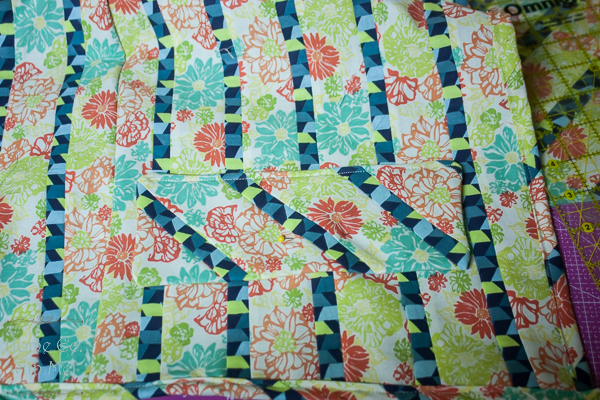 So I did it on my regular sewing machine with a 3/4 inch seam and then went back with a zigzag to help keep it from raveling. You could skip the zigzag and use pinking shears instead. 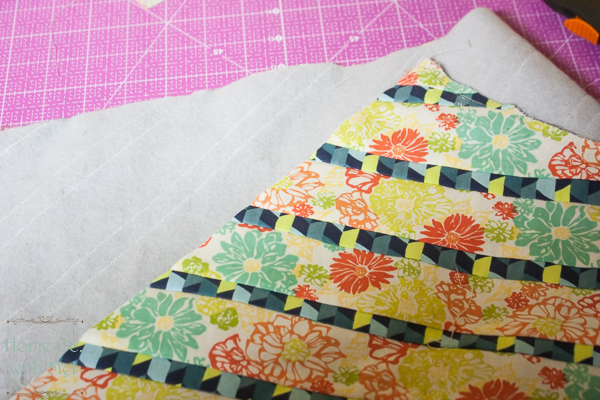 Match up your shoulder seams starting at the armhole. The neck may not match up. It's OK, if it doesn't just trim it up. Do both shoulders. We are going to bind our armholes now. 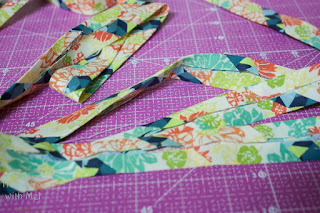 This way we don't have to join our binding or do it on a circle. I did not pin my binding. I wanted to be able to ease it around the curve as I went. Sew it to the back and then stitch it down in your prefered method. 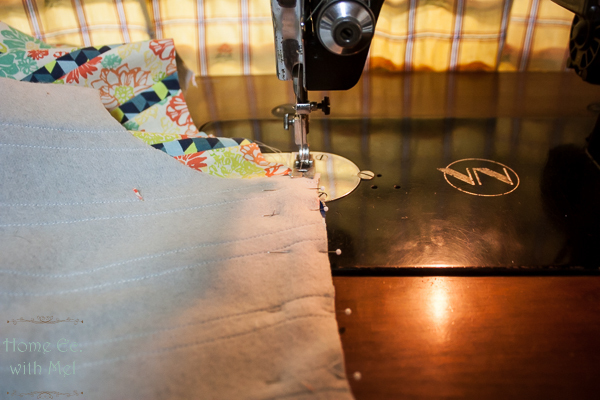 After you you get your armholes bound sew your side seams together. 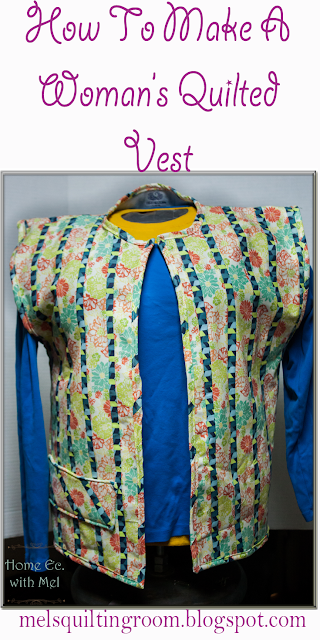 Then bind your jacket the same way you did the armhole. Your jacket is now done! 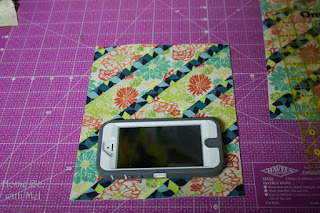 I opted to use a sleeve that I had sewn strips on at an angle to make a pocket for my cell phone. 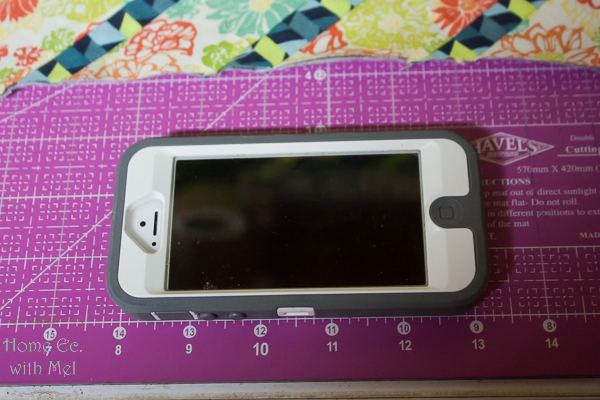 I measured my phone. The way I would put it in my pocket. I doubled my height and added 2 inches. For the length I added 2 inches. Then I cut out a piece of my sleeve that size. 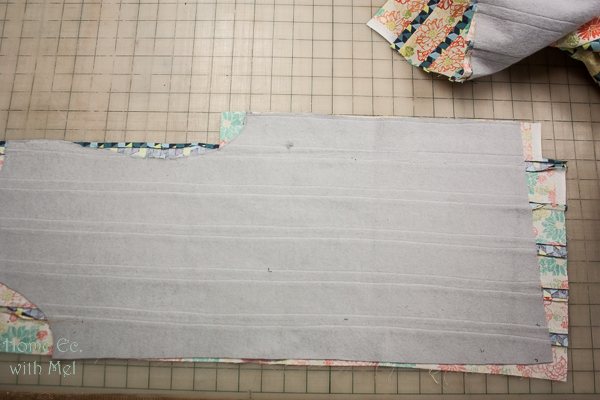 Fold in half, right sides together, top to bottom (as pictured) and stitch (1/4 inch seam) the open sides close. Be sure to leave an opening at the bottom. 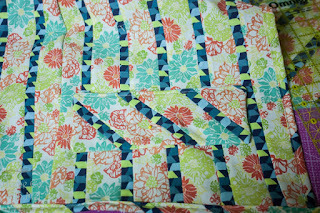 Turn right side out, making sure all the corners are poked out and give it a good press. We now have a fully lined pocket without too much work. Stitch the edge with the opening, being sure to catch the opening. 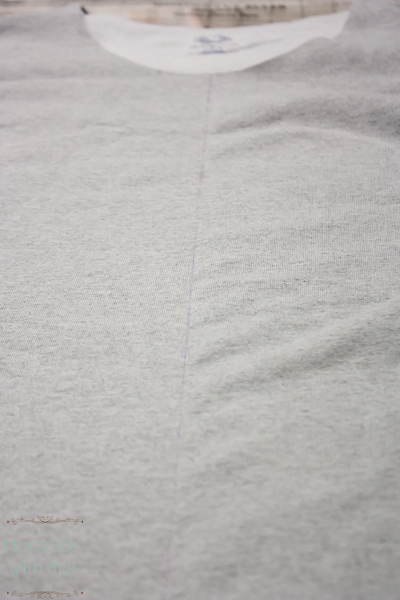 This is our top stitching for the top of our pocket. To position the pocket I put on my vest and pinned it where I wanted it. Then I took it off and made sure it was straight. I lined it up with the bottom of my vest. I did a satin stitch for the 1/4 inch of the pocket and the last 1/4 inch at the opening. This just gives it a little extra strength at the opening where there might be a lot of stress. Then it was just a 1/4 inch from the edge all the way around. I had to dress my body double, instead of wearing it myself. The kids came down for a visit. The grandbaby is still baking but it was nice to see them. I'm not completely sold how the shoulders fit. My husband said "I like the structure, it gives it an armour look." All that did was prove to me that he does pay attention when I watch Project Runway. It's OK if I don't like it I can go back and trim them down. So many talents you have. This is so pretty. Thanks for sharing at DI&DI.